I recently tried The Boneyard Truck, which modestly describes itself as “San Francisco Bay Area’s best barbeque catering”. I do not agree with that claim, for I have eaten better BBQ food in the area, but that does not mean that the meal I ate was not excellent. 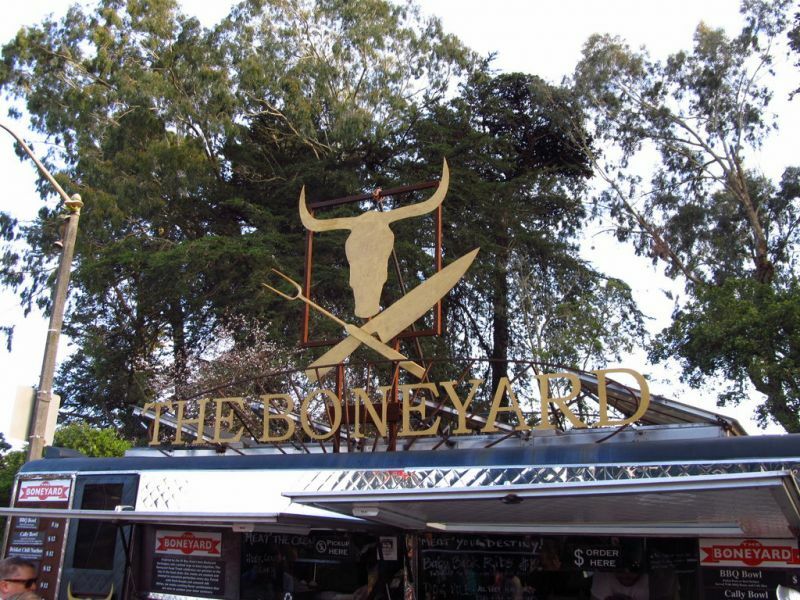 The Boneyard menu is cleverly constructed, offering a wide choice but doing so with a simple core of meats and sides. 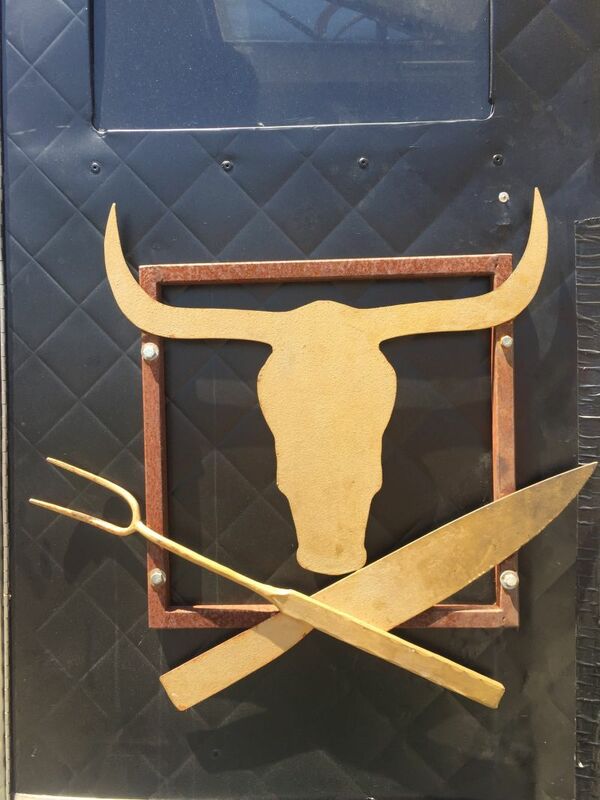 There are three types of BBQ meat: smoked pulled pork, smoked beef brisket, and Santa Maria chicken. There are five sides, including BBQ beans, cole slaw, and kale salad. You can order a dish like the Cally Bowl. You pick one of the meats, which is then served with slaw, beans, BBQ sauce, and a spiced fried egg. Alternatively, you can have a pair of sliders with mix and match meat and one of the sides. 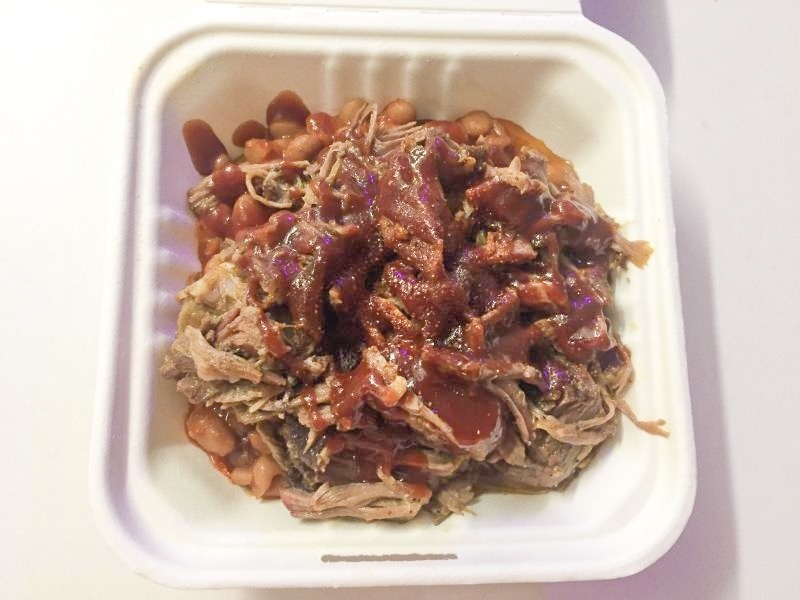 I choose the BBQ Bowl with brisket, beans, and BBQ sauce. I skipped the slaw. This was an excellent choice, as the brisket was juicy, plentiful, and the smoke paired well with the sweet and not overly spicy sauce. In lieu of the slaw, I was given extra beans, for which I was grateful. These may not be the very best beans that I have eaten but were pretty damned fine nonetheless. The portion was a little on the generous side for lunch but was too tasty to leave any behind. It cost $12, more than I usually pay for a food truck lunch but the quality and quantity justified the tab. 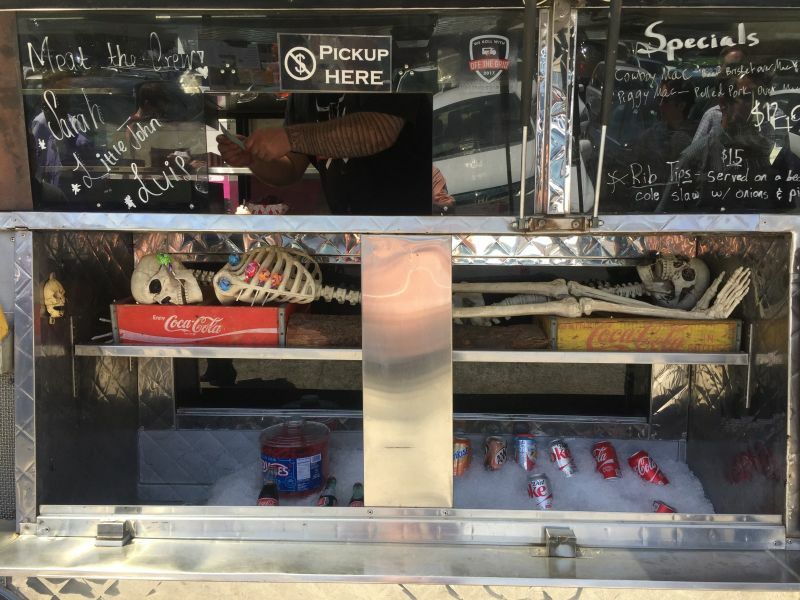 The Boneyard does offer ribs with a side for $14 and I think when I next see the truck, I shall splurge. I shall not change my choice of side, as those beans were excellent.